Curtis Tree Service provides a complete range of Middleborough, Massachusetts residential tree removal services. From pre-planned intentional modifications to your property to removal of potential safety hazards, our team of experts has the experience to safely complete your Middleborough, Massachusetts residential tree removal project. Removing trees or large branches can be quite a dangerous chore, which is why it’s essential to use a fully licensed and insured company like Curtis Tree Service. 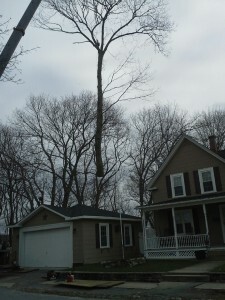 There are many reasons to hire a Middleborough, Massachusetts residential tree removal service. Additions to homes or buildings can mean that existing trees, stumps or shrubs must be removed or relocated. Maybe the design of the landscaping is being redone, or a vegetable garden needs to get more sun. Young, strong trees can come crashing down unexpectedly during fierce storms, and older, weaker trees are at risk for the same fate during much milder storms. You need to protect investments like your home, vehicles, swimming pool, large equipment or even animals like horses that don’t live inside your home. Whatever the reason, hiring a professional Middleborough, Massachusetts tree removal service like Curtis Tree is the best and safest way to manage the trees on your property. For 24/7 emergency residential tree removal services in Middleborough, Massachusetts or to schedule a routine service call, call Curtis Tree Services at 978-230-1343. We look forward to helping you!